Entry and Advertising Release: In consideration of acceptance of your entry, the entrant agrees to permit the DSPDPC to use their names and/or photographs, films or tapes of the units for publicity, advertising and commercial promotion, before, during and after the event, and fives permission to publish or sell or otherwise dispose of said photographs, films or tapes. Liability: In consideration of the acceptance of the right to participate in the Denver St. Patrick’s Day Parade (“Parade”), by execution of the entry form, I, my organization, and any related entrants, participants, members, or guests thereof (hereinafter collectively referred to as “Entrant”), hereby release and discharge the Denver St. Patrick’s Day Parade Committee Inc. (“DSPDPC”), its officers, directors, employees, representatives and anyone else connected with the Parade from any and all known or unknown damages, injuries, losses, judgments and or claims from any cause whatsoever that may be suffered by and Entrant to his/her person or property. Further, each Entrant expressly agrees to indemnify and hold harmless the DSPDPC, its directors, employees, representatives, and anyone else connected with the Parade, from any and all liability, including attorneys’ fees and costs, occasioned or resulting from the actions or conduct of the entrant. 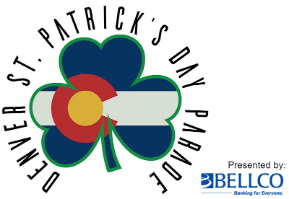 Proof of Vehicle Insurance: Each parade entrant will certify that all authorized vehicles are covered by liability insurance as provided by Colorado law and all DSPDPC insurance requirements. Proof of Workers' Comp Insurance: Each business or corporate entrant will certify that they maintain appropriate and current Colorado Workers' Compensation Insurance, or insurance as mandated by your state laws. If notice is given by a paid entrant 30 calendar days prior to the parade, a full refund will be given; if a notice is given between 15 and 29 calendar days prior to the parade, a 50% refund will be given; if notice is given less than 15 calendar days prior to the parade, no refund will be given.